Even the title effects are ripped off. Directed by Matthijs van Heijningen, Jr.
Based on the short story Who Goes There? by John W. Campbell, Jr. When John Carpenter took a stab at making a new film adaptation of John W. Campbell’s masterful story Who Goes There? he chose to name it after the first movie version. So he took the title The Thing From Another World and shortened it to The Thing . That’s pretty much all he took from the 1951 film that wasn’t part of Campbell’s story to begin with. Audiences had changed dramatically in 30 years, as had effects technology. The more modern take was a showpiece for practical effects, drawing on the ability of Campbell’s monster to imitate the crew of the Antarctic base to create grotesque hybrid forms for the thing to assume between masquerades. The two adaptations are both good, although in different ways that speak to their times. The first reassured us that American determination and scientific achievement would win the day, and the second warned us that the best we can hope for is mutually assured destruction. That’s where the story could have ended, but another 30 years on someone decided to show how it began. Carpenter’s movie started with the thing arriving at the American camp in the form of a sled dog. A helicopter from the Norwegian base pursues it but crashes. When the Americans finally check out the other base, the find it in ruins with no survivors. This adds to the feeling of isolation while heightening the danger. We don’t need to see how the previous base got wrecked; it’s happening again. 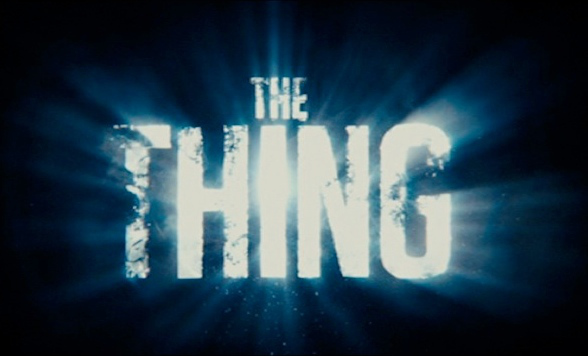 Well, someone felt that we really needed to see it after all, and thus the prequel to The Thing , imaginatively titled The Thing . Remember when Gus Van Sant did a shot-for-shot remake of Psycho and the world yawned? This isn’t really the situation here, but it sure feels like it at times. Mediocre CGI replaces the phenomenal puppetry and stop-motion while attempting to look the same. Same ideas for combating the thing. There’s one small difference in identifying who’s still human, but it makes absolutely no sense. We’re told that the thing can’t copy inorganic material, so only humans would have fillings. Okay, but the thing also imitates clothing; including zippers, snaps, and synthetic fabrics. The only place the movie breaks truly free from failing to ape Carpenter is with the space ship. Yup. Nothing human could try that hard to look like “Alien”. Where the earlier movie started with the mystery of the Norwegian’s hunting a sled dog, this one starts with the Norwegian’s almost literally stumbling into the discovery of the space ship. Seen only through the ice before, here it is largely dug out. Yet with this potential for exploring something different, once the thing is discovered the ship is forgotten until the climax. The filmmakers took a lot of effort to set up and explain the appearance of the Norwegian camp in Carpenter’s film, and by all the mead in Valhalla you’re going to see every bit of that explanation, down to the smallest minutia. Finally granting us entry into the alien vessel at the end, the film refuses to show much of anything. No hint of the crew, bones or personal items or anything. Just immaculate science fiction halls. The one chance to break free of merely attempting to attach itself to a superior film — to create its own identity — and it fails to deliver. It’s not a terrible movie, and I have certainly seen worse even during the Hubrisween project. It’s just so unnecessary. Watching it, I felt as though I was seeing a detailed facsimile that wasn’t quite convincing. It just made me wish I were watching the real thing.